It’s not often that outsiders are allowed into the engine room of the Vatican. Sure, each day thousands of people march along the prescribed tourist routes that take them around St. Peter’s Square and into the Basilica and museums. But how many get a chance to see, and speak to, and share meals with the people on the inside who run the show? That’s a rare opportunity and typically only happens discreetly when the visitors are family members or close friends. 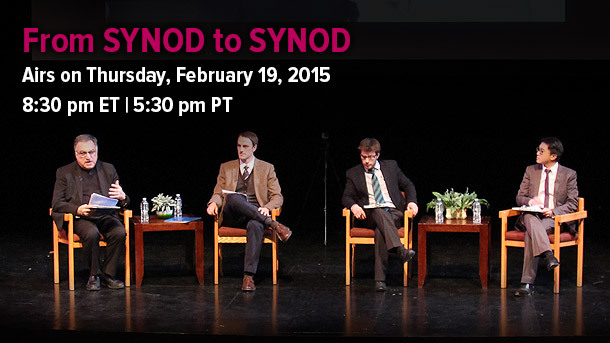 It’s even rarer when there’s a major event taking place, like a conclave or a synod of bishops. At this time last year, I was getting ready for one of those rare experiences. 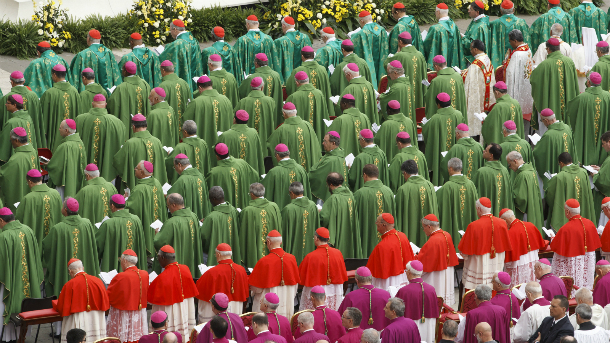 The Synod of Bishops on the New Evangelization was coming up in October and I was going to see it all up close from the inside. To be honest, I didn’t know what to expect. I didn’t know what kind of access we would get, or how the bishops and the Vatican staff would treat us. This was, after all, the first time anyone from the outside was allowed on the inside. 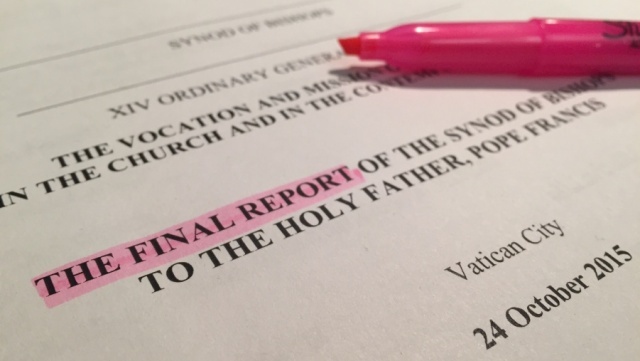 In return for the “backstage pass,” we agreed with the office of the Synod of Bishops to produce a full-length documentary on the event. I knew right away this was going to be a difficult commitment to keep. A powerful and provocative documentary can only happen when there are powerful and provocative images to capture. And I wasn’t convinced that a room filled with four hundred people (262 of them bishops) speaking one after the other for five minutes each was the most exhilarating script for a feature film. In any case, the sheer novelty of our access proved to be all the inspiration we needed. The other “X factor” for me was the fact that the bishops were going to be talking about the New Evangelization. 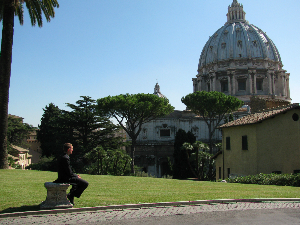 It didn’t take a Vatican insider to sense the heaviness hanging over the Vatican at the time. 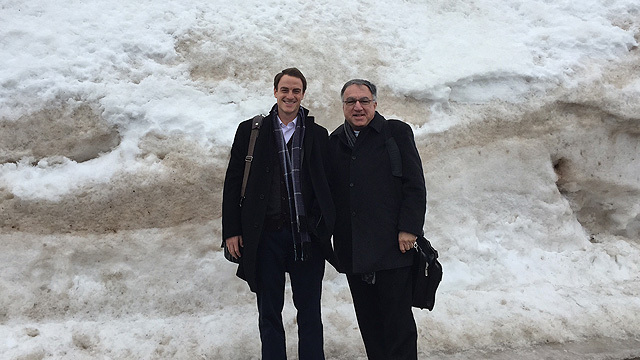 It was almost like the institutional church was in a mud-bog. The hopes of so many people, Catholics and non-Catholics, were hinged on the notion that something new, joyful and inspirational would come out of this! That for me is the essence of the New Evangelization. 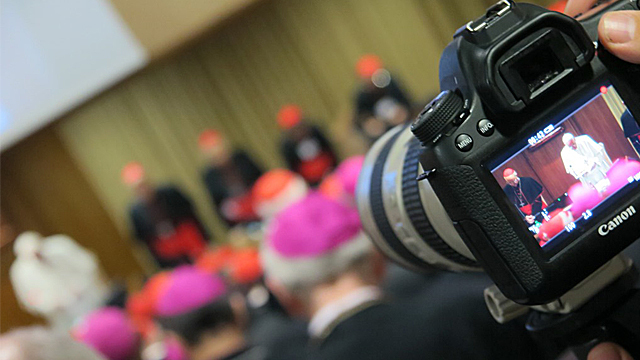 And that’s what we’ve tried to communicate with our latest documentary Go and Teach: Inside the Synod on the New Evangelization. Through in depth interviews with cardinals, bishops, delegates and journalists, we tell the story of what happened on the inside: of how humility and joy became prerequisites for evangelization; of how the implementation of the Second Vatican Council must continue; of how recapturing the personal encounter with Jesus Christ is the only real answer to our complex global reality.